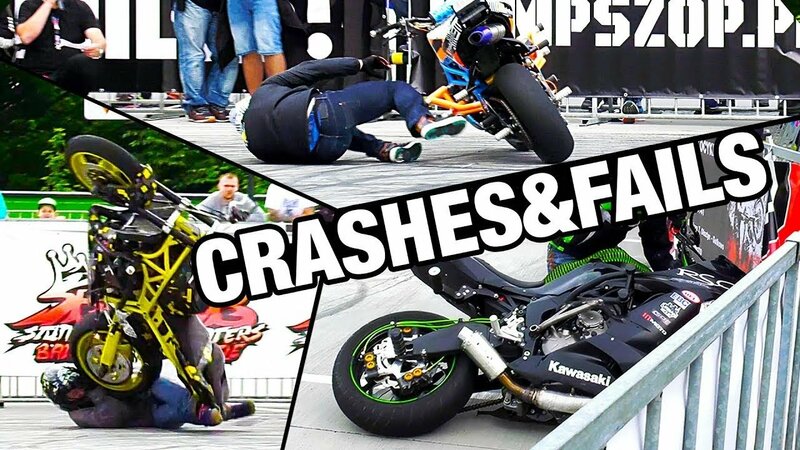 Here are crashes and fails, which we catched at Stunters Battle 2017 in Poland. Even top professional stunt riders make mistakes - and you can watch this! Only watching crashes you can feel the real weight of the bike and danger. There were some serious landings, but only Pawel Karbownik was injured. He broke hand after accident with Marcin Glowacki in switchback position.